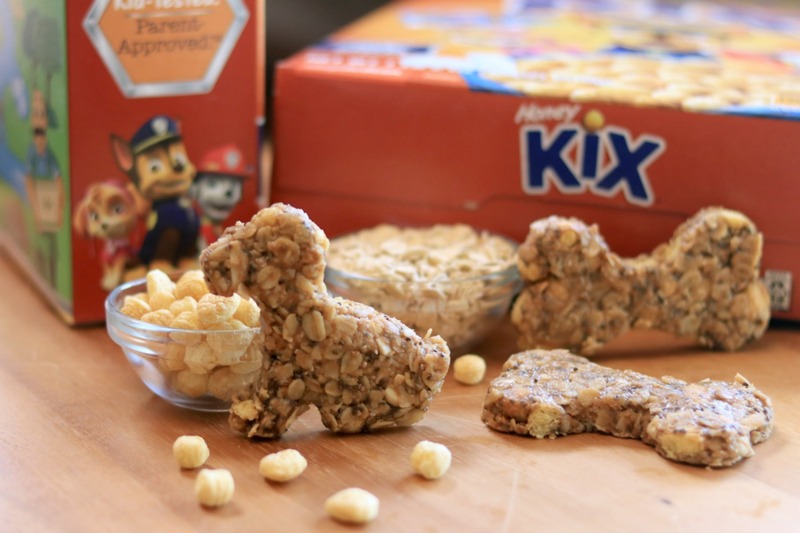 Ingredients: 1 1/2 cups Honey Kix or Berry Berry Kix Cereal, 2 1/4 cups quick cooking oats, 6 Tablespoons butter, 1/3 cup honey, 3/4 cup brown sugar, 1 cup peanut butter, 1/4 cup chia seeds, 1/2 cup slivered almonds, 1 teaspoon vanilla extract, dog themed cookie cutters. 1. 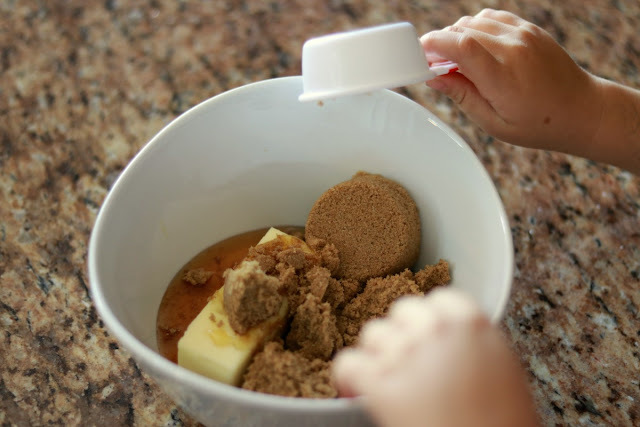 Combine butter, brown sugar, and honey in microwave safe bowl. Heat for 30 seconds at a time until butter melts. Stir until ingredients are mixed well. Add vanilla extract. 2. 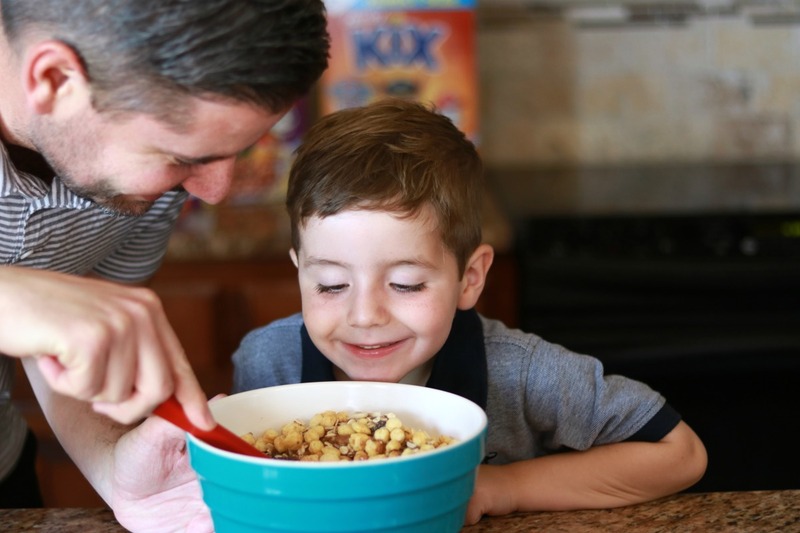 In large mixing bowl combine Kix cereal, quick oats, peanut butter, chia seeds, and almonds. Stir well. 3. 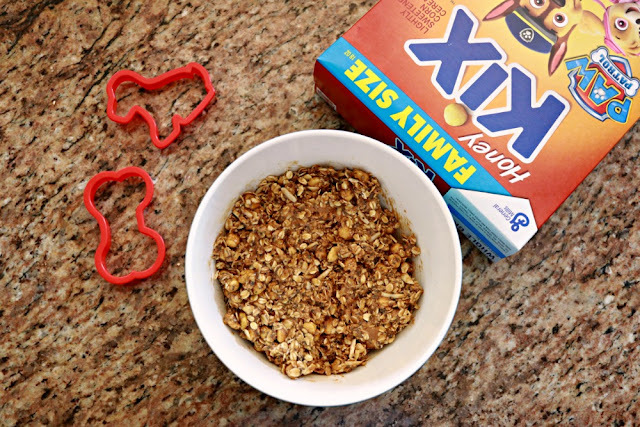 Pour in mixture from step one and mix all ingredients together. Cover and chill in refrigerator for 20-30 minutes. 4. 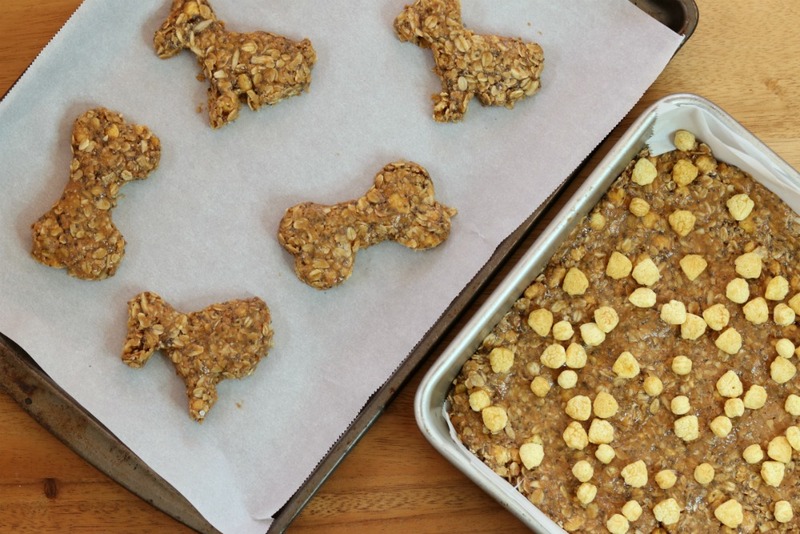 Lay out two sheets of parchment paper, one on top of the other, and place the chilled granola bar mix in between. 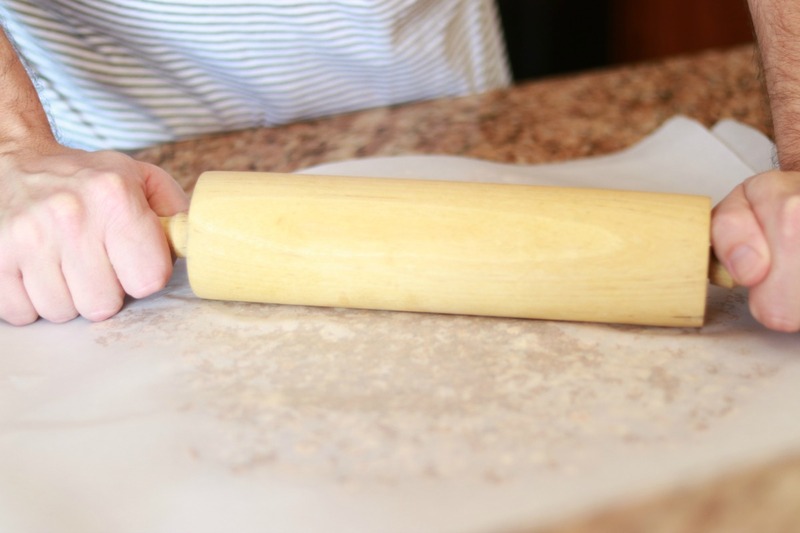 Use a rolling pin on top to roll the mix flat. Use cookie cutters to make fun dog themed shapes for Paw Patrol. 5. 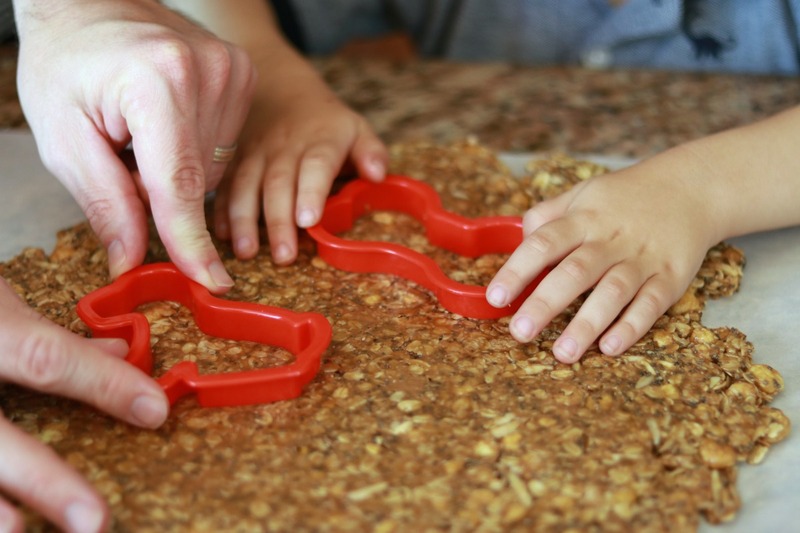 Place parchment paper in 8x8 pan and press leftover mix into pan. 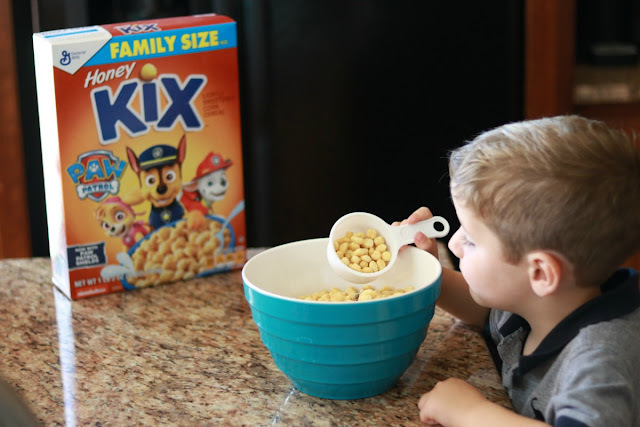 Top with more Kix cereal if desired. 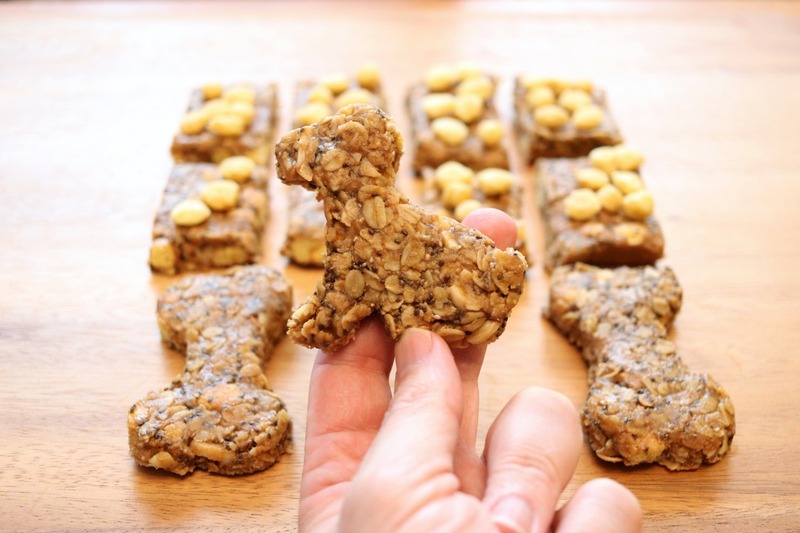 Chill all mix and dog shapes in refrigerator for 2 hours. Remove and place in resealable container for storage. 6. 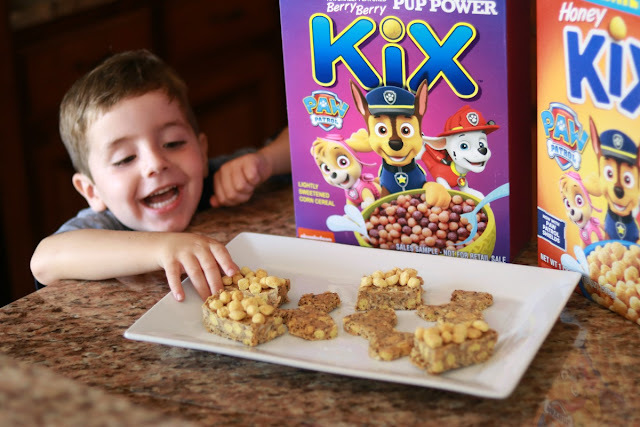 Serve to your Paw Patrol and Kix loving kids when ready!